With its wildlife and outdoorsy attitude, Vancouver is a pretty city to spend some time in. Whether you’re a hiker, a culture nut or just looking for some of that classic Canadian charm, we’ve found the 10 best hotels in the city. Ever slept in the sky? 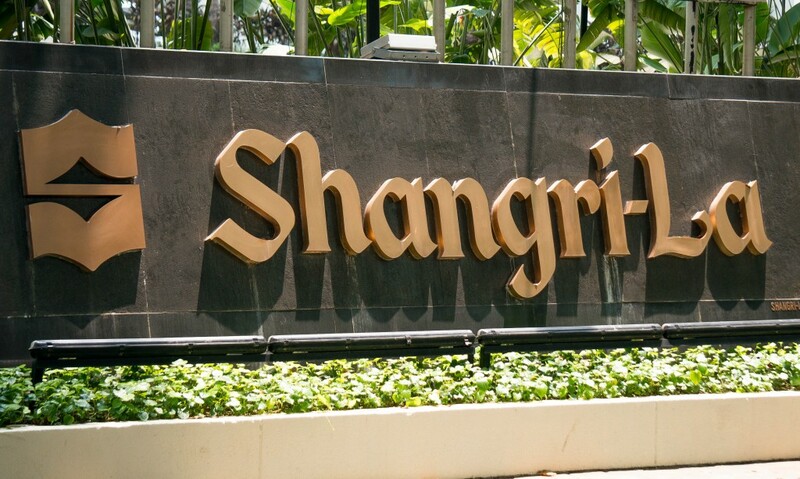 The Shangri-La Hotels and Resorts Chain opened up its first North American property in Vancouver, occupying floors Ground to 15. You will also find 5-star services, such as restaurants and a spa. Alongside their Asian inspired décor, most suites offer balconies with amazing views, as well as fancy touches such as marble bathrooms and luxurious linens. Come here for Canadian/Asian fusion hospitality at its finest. Located on the waterfront of Granville Island, the Granville Hotel follows the area’s architectural guidelines, reflecting the island’s history of mining, logging and shipping and the 82 rooms offer beautiful views of the water, and although the hotel often caters to business travelers, all guests will enjoy the hotel’s vicinity to the waterfront and eclectic shops. It is also within walking distance to the public market, meaning that the Dockside Restaurant inside the hotel has access to sustainable seafood that it has become famous for serving. Not the cheapest option, but those looking for luxury will be more than happy at the Rosewood Hotel Georgia. Restored to its original 1920s décor, the hotel has deluxe rooms with heated floors and flat-screen TV. In addition to a modern Canadian restaurant, there is also a speakeasy-style bar where you can do your best impression of Jay Gatsby. 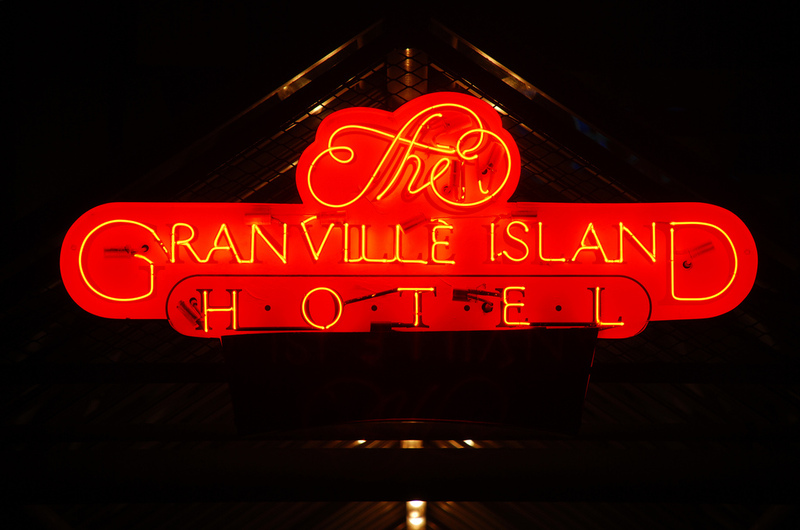 This is the perfect romantic place for couples staying in Vancouver. 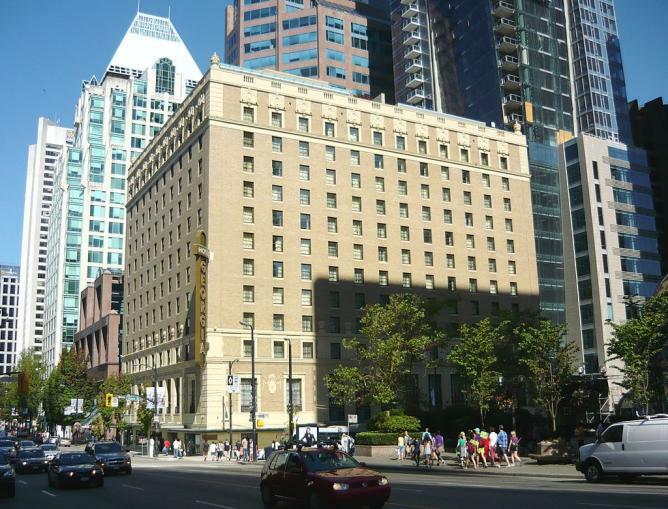 A restored 1912 apartment, the Sylvia Hotel overlooks the English Bay and is close to Stanley Park and Robson shopping and dining. Converted into a hotel in 1936, the building was originally designed by W.P. White, a Seattle architect, and has been covered by Virginia creeper, adding a carpet of green to the façade. Inside, rooms maintain the classic aesthetic. They’re not going to win any design awards, but they are pretty, comfortable and filled with light. Famous for its friendly staff, l’Hermitage Hotel is located in a residential tower, on the fifth, sixth and seventh floors. Most customers take note of the pool area and the Belgian waffles at the L’Orangerie Dining Room. The hotel services also offer a fitness studio and heated outdoor lap pool. The hotel is best suited for couples or business travelers looking for a place a walk away from Canada/Convention Centre. 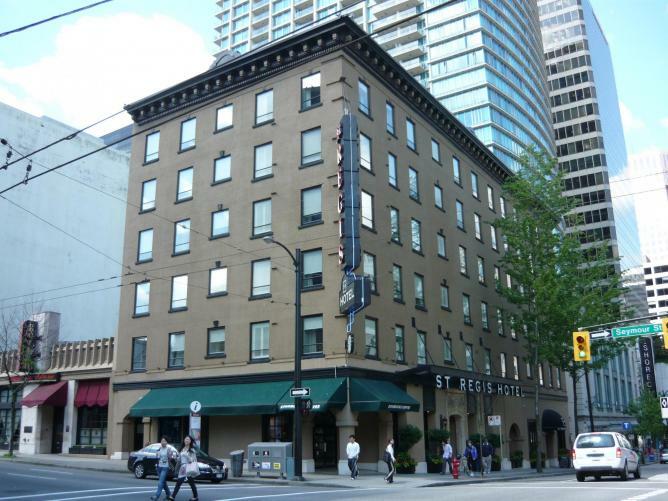 Opening in 1913, the St Regis hotel was originally popular among miners and loggers, but now it services a more varied clientele.This spot was renovated in January and now offers New York style boutique accommodations located in the financial and business districts. 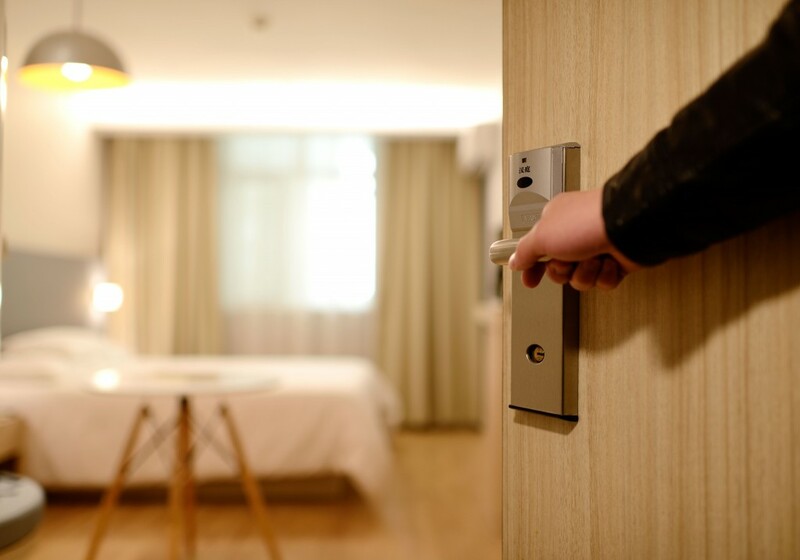 This is an independently owned hotel that caters to business travelers and those looking for a quick walk to Skytrain stations and the waterfront. After a day of shopping at Robson Street’s high-end shops, Vancouver visitors are welcome to stay at Wedgewood Hotel & Spa. Most people who stay at this hotel appreciate the deep bathtubs and the balconies that allow them to look out on the city. The hotel is optimal for those attending conventions at the Vancouver Convention Centre and Canada Place, which are both about 10 minutes away. Visitors to the Listel Hotel will appreciate the contemporary art that fills the rooms of this place located on Robson Street. The hotel has organized a partnership with the University of British Columbia’s Museum of Anthropology so that rooms on the Gallery Floors feature works from the Buschlen Mowatt Art Gallery. If looking at the art pieces is not enough, you might appreciate the vicinity to the harbor and the shopping zone. A three minute walk from the harbor, the Loden Hotel offers modern suites and rooms with the choice to upgrade to a room complete with yoga mats and Nintendo. If you really want to splurge, a penthouse suite is available for booking on the top floor, which also includes a rooftop terrace. Hotel services provide clients with a ‘free’ bike to use to cycle around the city, specifically by nearby Stanley Park. Business visitors tend to appreciate this hotel, particularly due to its location. Close to the Vancouver Convention Centre, Hotel Le Soleil is a boutique hotel that mixes French-inspired décor with a classic Canadian welcome. Every room includes marble bathroom – and lucky visitors might find their windows to be floor-to-ceiling. The hotel is located in the busy business district and may be just the right choice for those in town for work.